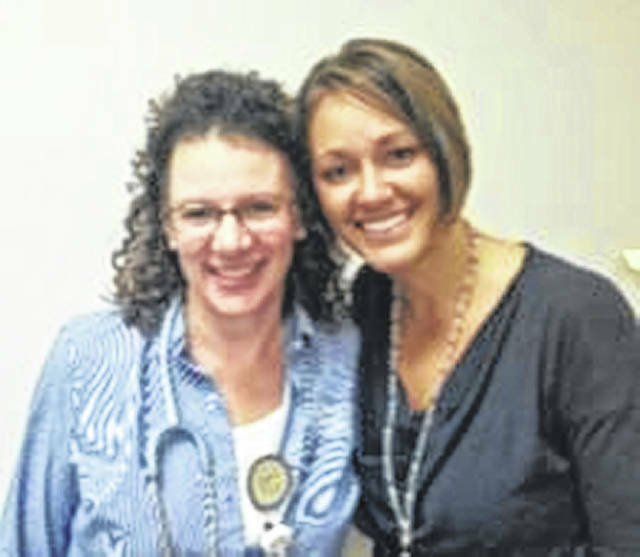 Beth Harper, CNP, and Gig Reynolds, office supervisor, both of FCMH Medical Surgical Associates, will be teaching the Healthy Eating class Sept. 12. With school back in full swing, families are busy with homework, sports, dance, church and everything in between. Making sure your family eats healthy is an important part of keeping everyone going. Don’t have little ones at home any more? Healthy eating is just as important –warding off illness and keeping us strong as we age. The bottom line is healthy eating is important at all stages of life. Fayette County Memorial Hospital invites you to our September edition of Healthy University when we will focus on healthy eating. We have two activities coming up that you won’t want to miss! We are pleased to partner with the Fayette County Farmers’ Market on Saturday, Sept. 8 from 8:30 a.m. to noon. While you are at the market to shop for your favorite meat, produce and baked goods, be sure to visit the FCMH tent to pick up samples of healthy, delicious dishes you can make at home with food you can buy at the market. FCMH chef James Vassar is busy preparing a recipe or two for you! Visit with a provider, grab a reusable shopping bag and visit with FCMH providers and staff. Join us in Medical Arts Building 2 for more food, fun and education on Wednesday, Sept. 12th at 5 p.m. for our Healthy Eating Class. Beth Harper, CNP, and Gig Reynolds, of FCMH Medical/Surgical Associates, will share their knowledge of healthy eating, some more great recipes and they will be giving away an Insta-pot to one lucky attendee. As always, educational classes at FCMH are free, but we do ask that you RSVP for the Sept. 12 class by calling 740-333-2710.
https://www.recordherald.com/wp-content/uploads/sites/27/2018/08/web1_HealthPageArticle.jpgBeth Harper, CNP, and Gig Reynolds, office supervisor, both of FCMH Medical Surgical Associates, will be teaching the Healthy Eating class Sept. 12.